Pulses are cheap source of vegetable protein (20-25%). Greengram occupies a prominent place by virtue of its high nutritive value short growth period and its ability to suit any cropping systems. During the process of evolution and adaptation, pulse crops acquired primitive characters like long duration, indeterminate and compact growth, excessive flowering, flower drop, shattering, non-synchronous maturity, etc., for their survival rather than high yield. Further their lower dry matter partitioning is one of the causes for lower harvest index. 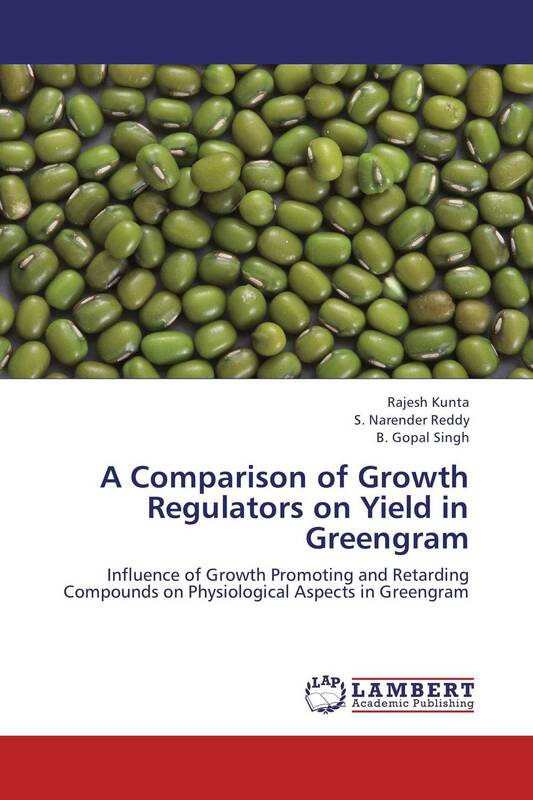 The present investigation was undertaken to assess different physiological and biochemical characters with application of different growth promoting and retarding compounds on growth, dry matter production and yield in greengram. The plant growth regulators are known to influence growth attributes right from seed germination to senescence either by reducing the plant height or by enhancing the growth, flowering, pod and seed development and ultimately yield. From the present investigation it is evident that application of NAA @ 20 ppm at flower initiation stage was significantly superior and was more effective in increasing the yield.